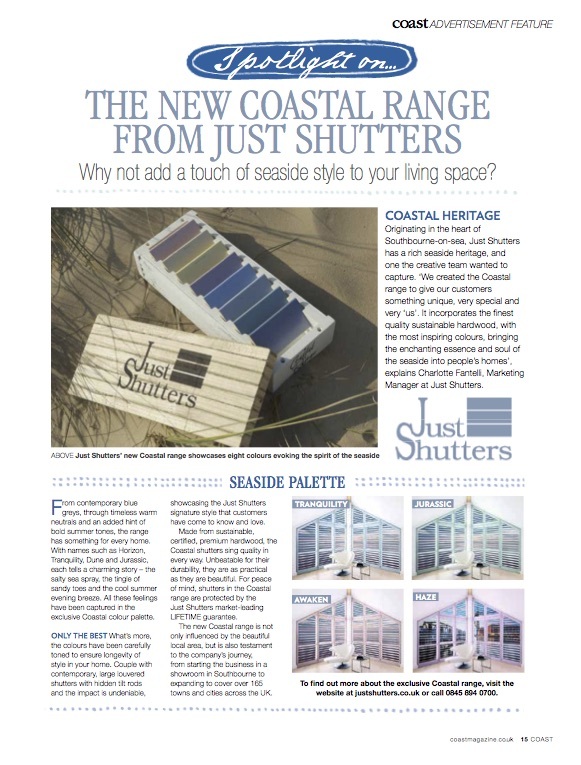 The glossy magazines have LOVED our new Coastal range. Here are some of these sumptuous news pieces. 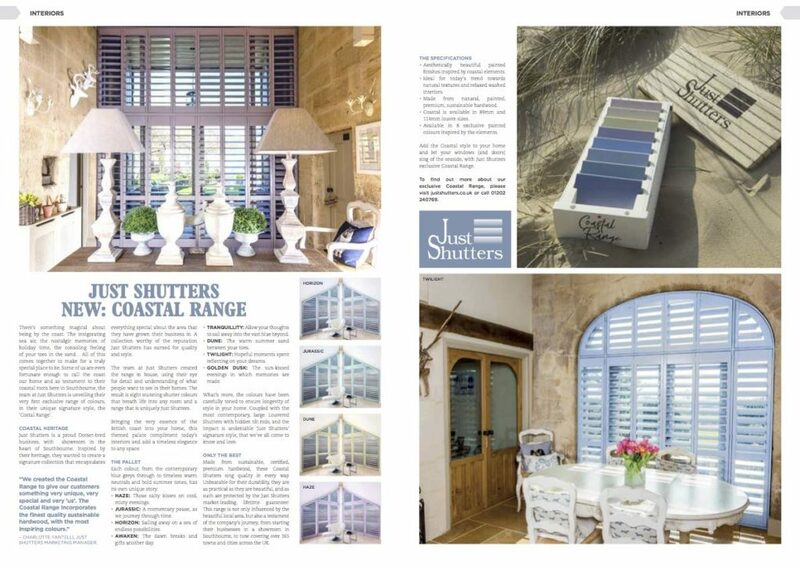 ‘Just Shutters have created a truly unique and exclusive collection of eight stunning shutter colours.’ Reads House magazine. The issue that also finds Just Shutters on the cover! While stunning national glossy, Coast magazine showcases the range beautifully (please see image below) stating; ‘Only The Best’. These features look superb and are testament to the dedication, hard work and creativity of our team. 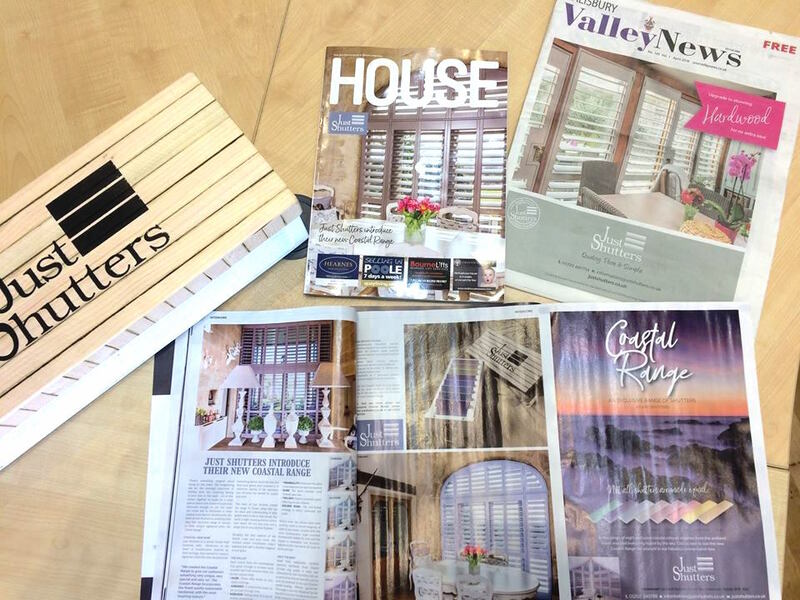 Thank you to all the press who have taken the time to create these beautiful showcases. 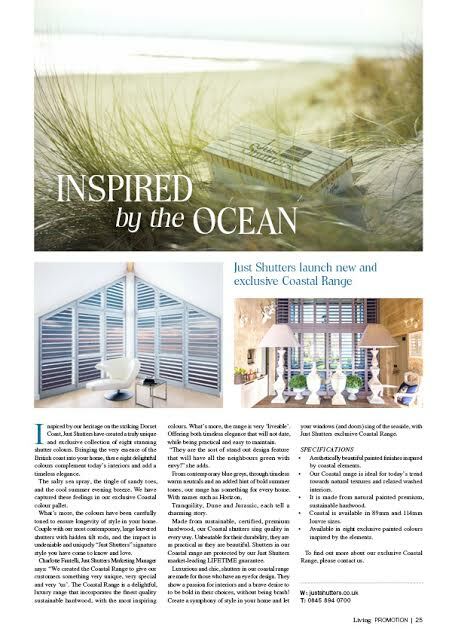 Please see more about our exclusive Coastal Range’ or call us on 0845 894 0700, or follow the buttons below to book a home design visit or download our brochure.